Jinx is our four legged receptionist. He can be found most days lying on the receptionist chair by Jackie or on Jackie’s computer as she works. He was rescued 11 years ago by Dr. Mitchem. He is officially Dr. Mitchem’s husband Wayne’s cat, but he lives at West Lincoln Veterinary Hospital now because he loves interacting with people. 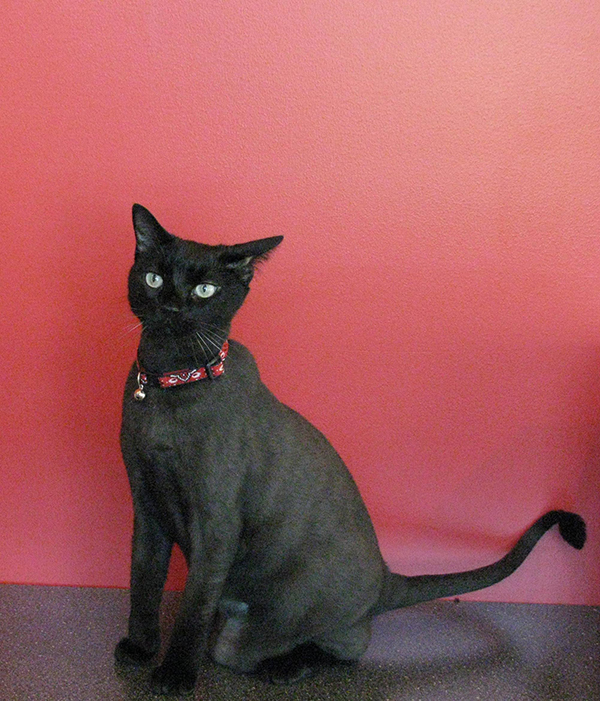 He is a black cat, if you see him when he looks grey with black face and legs, he is sporting a new haircut. Be careful Jinx likes to get into women’s pocket books.